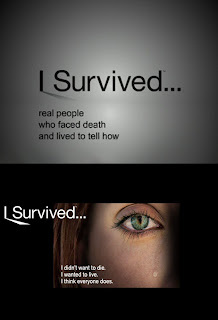 About 4 months ago, I thought it would be a groovy idea to submit my story to the show "I Survived" on the Biography channel. To be honest, I really didn't expect to ever hear back from them. I figured, they must get 1000's of submissions if not more every week. What are the odds that they would actually take the time to read every single one of them? I mean, I must have written to Oprah about a dozen times over the past two years and no one from her show ever called me. Lol! So I was a little shocked when I got a call from them a month later. Come to find out, they were interested in little ol' me. This man from the show called me to see if I was still interested in being on the show. I got the impression that his job was to "feel me out" so to speak. To find out how well I could talk about what happened to me. If I wasn't comfortable talking to him then I probably wouldn't be a good candidate for the show. He explained the ins and outs of how it all worked and answered any questions I had. Then he told me that if the producers thought I would be a good fit then I would get another call later on. After that phone call I started wondering if going on this show was a good idea after all. For those of you who aren't familiar with the show, it is a documentary of sorts. Each episode takes about 3 different people who have been through some kind of tragedy and it allows them to tell their story in their own words. 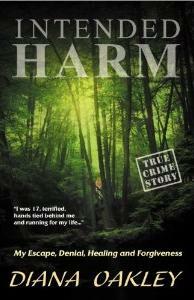 The focus is on the actual tragedy and how the person managed to survive and it includes as many details as possible. Telling my story isn't what bothers me. I've told it before. What worries me is that the show isn't interested in what happened to me afterwards...my struggles, my recovery, my faith. They are only interested in the actual crime and how I escaped and that's not why I tell my story. 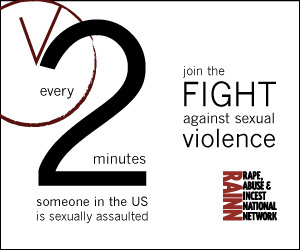 I decided to tell my story in the hope of helping others who have been sexually assaulted or abused. I want them to know that I too went through something horrible. I want to let them know how much I struggled with what happened to me just like they may still be struggling. I want to share my faith with people. I don't so much want to tell them what happened to me but how I recovered from it. Now to tell you my other concerns for doing the show...How about the fact that the man who kidnapped me isn't rehabilitated and has tried to find me in the past. What if he watches the show and sees my story...his story? That could open a whole new can of worms for him. Or what about the fact that every April there's a chance he will be released from prison. Am I letting him control me still? I don't think so. If I felt that going on this show would further my recovery and help other people, I would take those risks. But I don't feel like it would do either one of those things. Well, yesterday I received another call from the show asking me if they could come down and interview me. I told them about my concerns and I asked them if I could think about it. So the director is supposed to call me today. Don't get me wrong, I think it's a good show that is very tastefully done. It portrays the survivor's in a good light. But it is what it is...a show about a tragedy and how the person survived and that's as far as it takes the viewer. I don't want my story to become a form of entertainment on a Sunday evening...cuz that's when the shows on, by the way. And because of this, I've decided I'm NOT going to do the show. I hope you all understand and aren't too disappointed in my decision. I heartily agree with you Hun! And it takes courage and a certain amount of character to turn down a chance for a few minutes of so-called "glory" by being on TV. Bravo! Too many people seem to set aside their common sense when given the chance to be on a reality show or even a tasteful documentary.